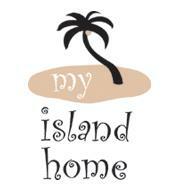 My Island Home is a boutique for those who love the tropics. We’re full of island-style home wares, gifts, and resort wear. It’s enough to make you feel like you’re actually on holiday. We’re a little bit “laid-back beach pad”and a little bit “relaxed tropical resort” We prefer things to be hand-made of natural materials by craftsmen and artisans, not pumped out in a giant factory by a machine. Take a little holiday with us.